Every now and again I like to create a new set of gift tags to use with hand knits, and as the cooler weather settles in along with the shorter days here in the northern hemisphere I thought I would create a new set with the rich, warm hues of the season, featuring bold graphic argyle ‘flowers’. 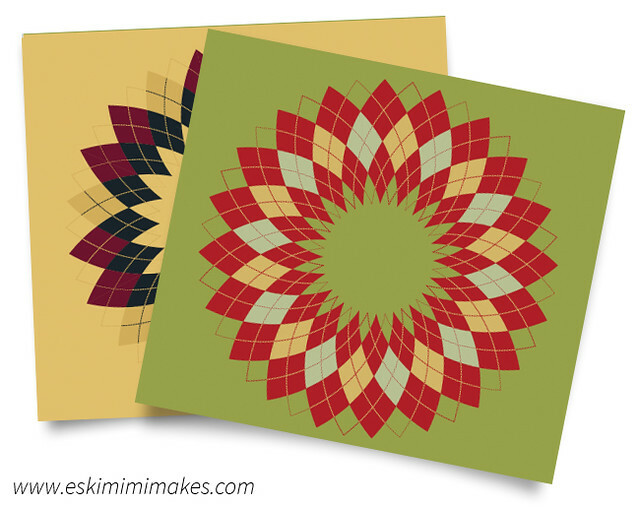 The free download comprises a sheet of six folded square tags which simply need to be cut and folded in half to use. 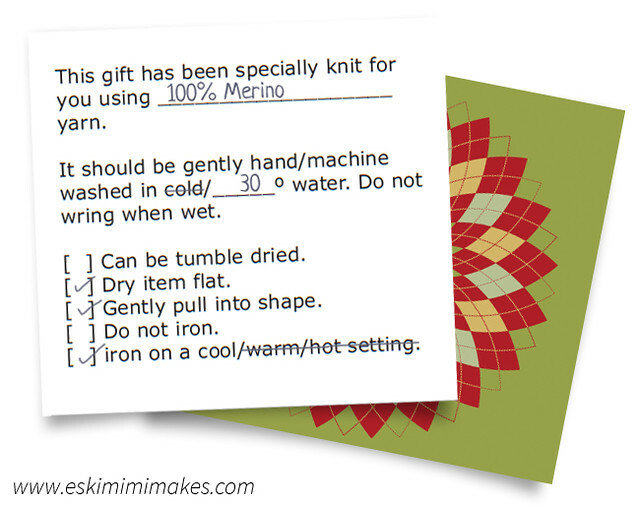 The washing instructions are easily filled out on the back of the tag with the space inside the tag being perfect for a personal message plus and spare buttons of lengths of yarn for repairs that you may wish to include. The gift tags are completely free to download and use. To save them to your computer, simply right click the link and choose where on your computer to save the file, then print and cut as required. The designs on these gift tags have a touch of vintage charm due to the muted colours and graphic designs reminiscent of spirograph doodles, but if they are not quite to your own style there are a number of different free gift tags for knitter, crocheters and sewers ready and free to download from the Goodies Page. New Pattern: Lumene Socks – And Knit For Free! Thanks so much. They are pretty. Will be printing.